Q. 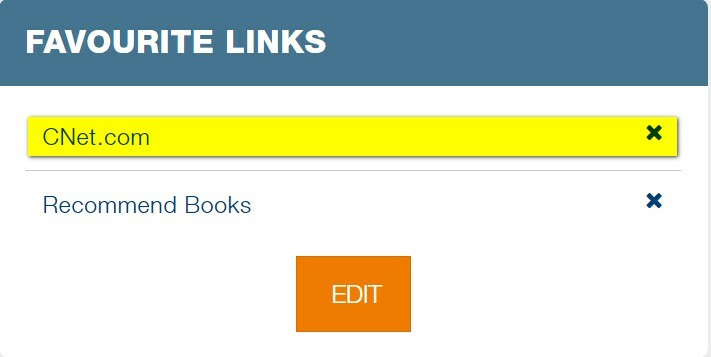 How to add Resources/Titles, Portal Pages and Favourite Links to Your Favourites List on the Library Portal? 4. Slide the button under Add/Remove column to save the title/s. Green indicates that the title has been added to your favourites list. 5. To remove titles, click on x beside the title or slide the switch to the left after searching on the search window (as above). 6. 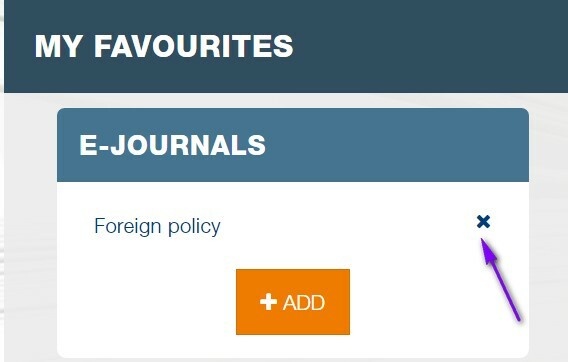 To add a portal page to the favourites list, after logging in, go to the page and click on Favourite on the top right of the page. 7. 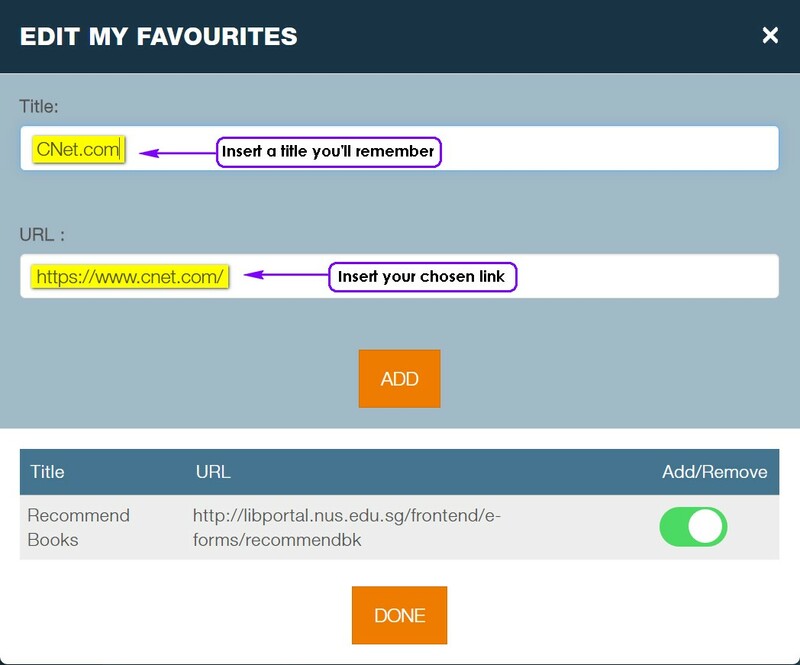 You can also add your favourite links to myPortal and when I say favourite, I mean any link! This works like a bookmark on your browser. Have a news website or blog you frequently visit? Add it here! This means you will have your favourite e-journals, e-books, databases and links all in one page. Talk about convenient! Insert the title of the webpage and its URL and click 'Add'! Note: Both fields must be filled. Once that is done, you'll see your links listed. You can simply click on the link to access the page.